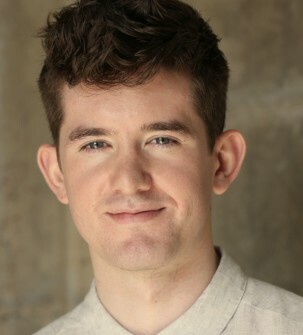 Born in 1987 in Los Angeles to actors Timothy Hutton and Debra Winger, Noah Hutton spent his childhood on and around film sets and developed a passion for filmmaking at an early age. Hutton’s award-winning documentary film, Deep Time (2015) is an ethereal return to the same landowners, state officials, and oil workers he captured at the beginning of the Bakken oil boom in Crude Independence. With a new focus on the relationship of the indigenous peoples of North Dakota to their surging fossil wealth and a trip over the thawing arctic permafrost with a NASA climate expedition, Deep Time casts the ongoing boom in the wider and deeper contexts of paleo-cycles, climate change, and the dark ecology of the future. Hutton’s 2010 directorial project was the documentary feature More To Live For, produced by Love Hope Strength, a global cancer foundation. The film played at over 20 film festivals across the US and was released by Cinetic in 2012. A film of tragedy and loss, strength, and hope, More to Live For features three extraordinary men suffering from leukemia whose lives depend on finding the perfect bone marrow match and presents the stories of how these men face life and death—and their commitment to making a difference. These deeply personal accounts of confronting illness will inspire hope and action, leaving the viewer empowered to become part of the cure. To date, in their joint mission to bring awareness about bone marrow donation to the millions of people who could save a life today, fifty-four live-saving matches have resulted from post-screening registry drives. Having studied art history and neuroscience at Wesleyan University, much of Hutton’s ongoing work focuses on the interdisciplinary dialogue between art and science. He spends part of each year filming at the Human Brain Project and other prominent neuroscience labs around the world as part of Bluebrain, his fifteen-year film-in-the-making that has been featured in Scientific American and VICE which will chronicle neuroscientist Henry Markram’s audacious attempt to build an entire brain, neuron by neuron, in a massive virtual simulation on IBM supercomputers. It is the most ambitious project in the fields of neuroscience and artificial intelligence ever undertaken—and in ten years Hutton will have documented the process of building a complete human brain. In 2014, Hutton created Brain City, a three-minute animated journey that drew parallels between inner and outer worlds, drawing on the latest imagery of the human brain from labs around the world. The piece played on over twenty of Times Square’s billboards from 11:57 to midnight each night of November 2014 as part of the Times Square Arts’ Midnight Moment series. Hutton is the founder of The Beautiful Brain, a website that explores the dialogue between art and neuroscience. He was a featured speaker at the 2013 Association of Neuroaesthetics Symposium at the Venice Biennale, co-curated the 2014 Impakt Festival in Utrecht, Netherlands, and is a fellow for the 2015 Salzburg Global Seminar on Art & Neuroscience. In addition to his Blue Brain project, Hutton also has a series of videos called Brain Basics put out by Scientific American. The first, released March 2014, is titled How We Retrieve Memories. Noah Hutton is the director of Crude Independence, a documentary about the North Dakota oil boom; Deep Time, an ethereal return to the same landowners, state officials, and oil workers he captured in Crude Independence, this time casting the ongoing boom in the wider contexts of paleo-cycles and climate change; More to Live For, the story of three lives, all shaken by cancer and dependent upon the one vital bone marrow match that could save them. From 2010 to 2025, Hutton will be filming Bluebrain, a documentary feature chronicling the progress of The Blue Brain Project—Neuroscientist Henry Markram’s attempt to reverse-engineer a human brain, neuron by neuron, in a massive virtual simulation on IBM supercomputers. Hutton is the founder of The Beautiful Brain, a website that explore the dialogue between art and neuroscience. Deep Time is an ethereal return to the same landowners, state officials, and oil workers he captured at the beginning of the Bakken oil boom in Crude Independence. With a new focus on the relationship of the indigenous peoples of North Dakota to their surging fossil wealth and a trip over the thawing arctic permafrost with a NASA climate expedition, Deep Time casts the ongoing boom in the wider and deeper contexts of paleo-cycles, climate change, and the dark ecology of the future. Begun in 2010, Bluebrain is director Noah Hutton’s 15-year film-in-the-making that will chronicle the progress of The Blue Brain Project—Neuroscientist Henry Markram’s attempt to reverse-engineer a human brain, neuron by neuron, in a massive virtual simulation on IBM supercomputers. It is the most ambitious project in the fields of neuroscience and artificial intelligence ever undertaken—and in 15 years, Hutton will have documented the process of building a complete human brain through his exclusive access to the project personnel and Markram’s facilities on the EPFL campus in Lausanne, Switzerland. Already featured in Scientific American and VICE, the film will also track several other major endeavors to understand the brain, including President Obama’s BRAIN initiative, Sebastian Seung’s quest to map the connectome, and the Allen Institute for Brain Science in Seattle. A truly powerful, emotional, and ultimately uplifting film, More To Live For chronicles the lives of three extraordinary men suffering from leukemia, whose lives depend on finding the perfect bone marrow match. Take an inspirational journey with Seun Adebiyi, a US Winter Olympic hopeful in the harrowing sport of Skeleton Racing, fifteen-time Grammy Award winner Michael Brecker, who conquered substance abuse only to face another life-altering trial; and James Chippendale, a successful entrepreneur who sees leukemia as a new challenge, morphing from party boy into philanthropist and founder of the Love Hope and Strength Foundation. Their unrelated paths become connected in a desperate fight for survival and a singular mission: to bring awareness about bone marrow donation to the millions of people who could save a life today. A film of tragedy and loss, strength and hope, More to Live For presents the stories of three individuals facing life and death and their commitment to making a difference. These deeply personal accounts of confronting illness will inspire hope and action, leaving the viewer empowered to become part of the cure. The heartland is getting a transplant, and its new heart is pumping oil. Director Noah Hutton takes us to the town of Stanley, North Dakota (population 1,300), sitting atop the largest oil discovery in the history of the North American continent. Through revealing interviews and breathtaking imagery of the northern plains, Crude Independence is at once a riveting journey through the timeline of a modern day gold rush and a rumination on the present state and the uncertain future of small town America—a tale of change at the hands of the global energy market and America’s unyielding thirst for oil. We meet John Warberg, a lifelong farmer who owns the same section of land his grandparents first homesteaded over a century ago. And in a boisterous group interview behind the local bar, we meet the oil workers who have been forced to stay at the Stanley Motel, then in run-down trailers as the motel fills up as a result of the housing shortage in this rural area. The county sheriff tells us about the three signs of this oil boom: “First your motel fills up, then your bars, and lastly, your jails.” Crude Independence puts this modern day oil boom in endearing and captivating human terms while still managing to explore the larger issues of energy dependence, political alignment, and soaring gas prices.